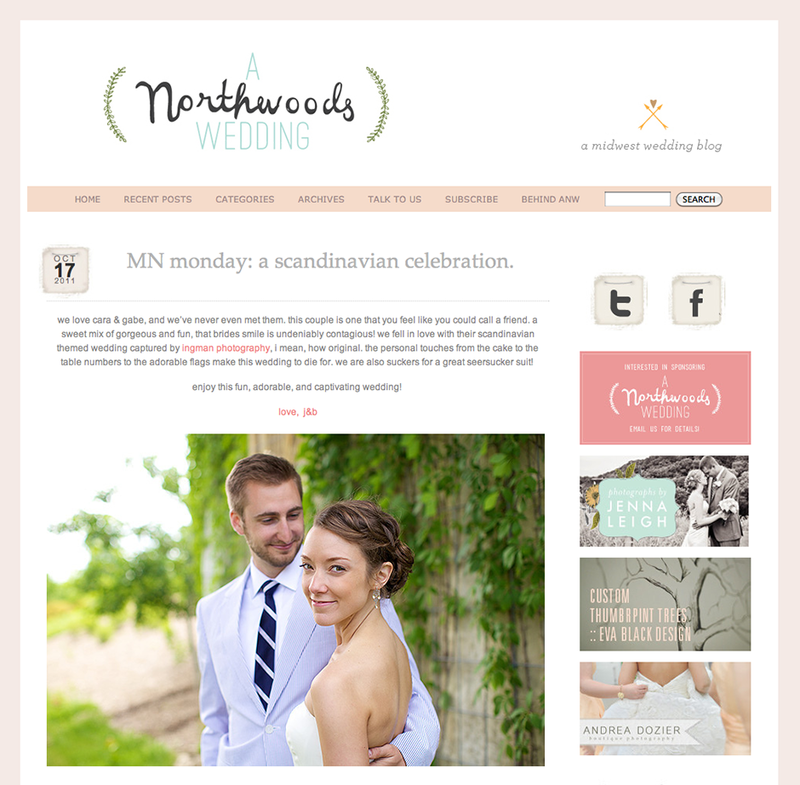 I am insanely proud to call myself a Minnesotan and was thrilled when I stumbled upon A Northwoods Wedding, a wedding blog dedicated to Midwest weddings! Jenna and Brit have such a passion for weddings and especially ones that have a Midwest style of their own. I was so excited when they wanted to feature Cara and Gabe’s fabulous Scandinavian inspired wedding. I asked Cara to share a bit more about their planning process – and this is what she said, “Gabe and I agreed early on that we wanted our wedding to convey a sense of intimacy, simplicity, and Norwegian Lutheran heritage. It was so much fun to imagine and plan a day that was completely and wholly us…no silk taffeta, dry chicken, or drama. Instead, we wore cotton, ate burgers, and celebrated our love in the midst of an incredible community of family and friends! Managing many of the details ourselves gave us the opportunity to involve people we love and made everything they touched so much more meaningful. When I see pictures from the wedding, my mind is flooded with all kinds of wonderful and funny memories from those DIY projects! Anne did such a great job capturing the essence of that day, which for us was pure joy!” So thoughtful — thanks Cara! !